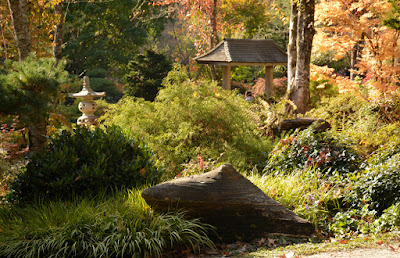 Last weekend I went to Gibbs Gardens with my dear friend Katie who hadn't been since they opened a few years back. It's as stunning as ever! 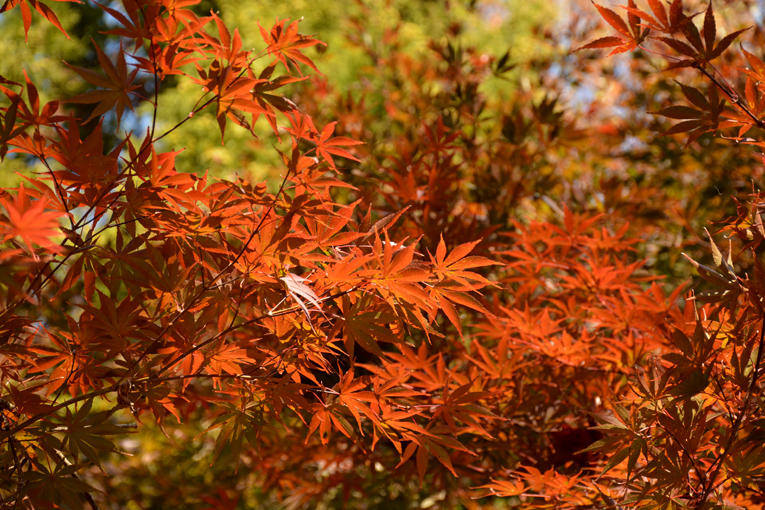 Their Japanese Maple Tree Festival lasts three weekends, showcasing the various peaks of colors of their thousands of Japanese Maple Trees, representing 200 species! This is the second or third time I've been for this particular Festival, and it's been gorgeous every time! Katie's favorites were the yellow fall leaves, which just happened to be at peak the weekend we went! While my favorite color is a deep red, I do love yellow, too. 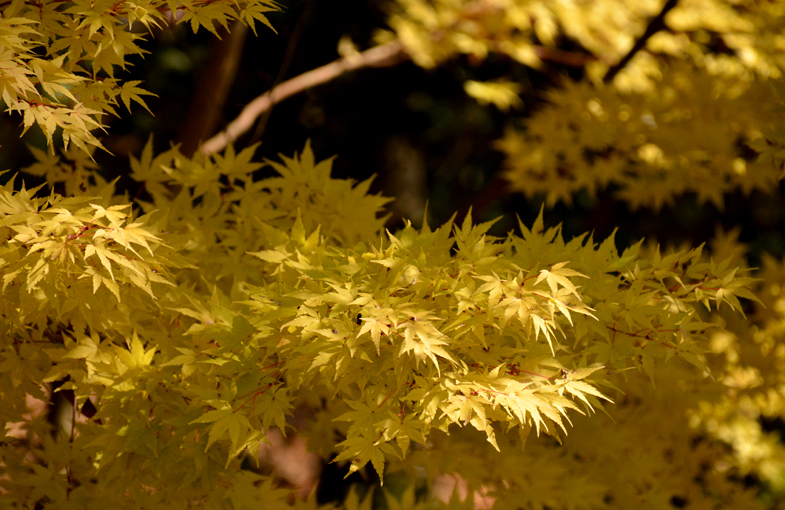 We explored the Japanese Garden as soon as we arrived—right after I renewed my membership. After our initial exploration of the 40-plus acres of their Japanese Garden, the largest in the United States, we stopped for lunch at the Arbor Cafe. We both enjoyed "Mary's Pimento Cheese Sandwich" on house-made Jalapeno Cheddar Bread. Delish! Katie had cold water and I treated myself to a glass of strawberry lemonade! We enjoyed our lunch in a shaded area with lots of comfortable seating and paper Japanese lanterns hanging from the trees and there was also live music...an accordionist playing zydeco and other familiar tunes. The dichotomy of sight and sound was actually great fun! They make several kinds of fresh bread daily and you can purchase a loaf (or three) to take home later. Katie picked up a loaf for her grandmother. She's super sweet like that. 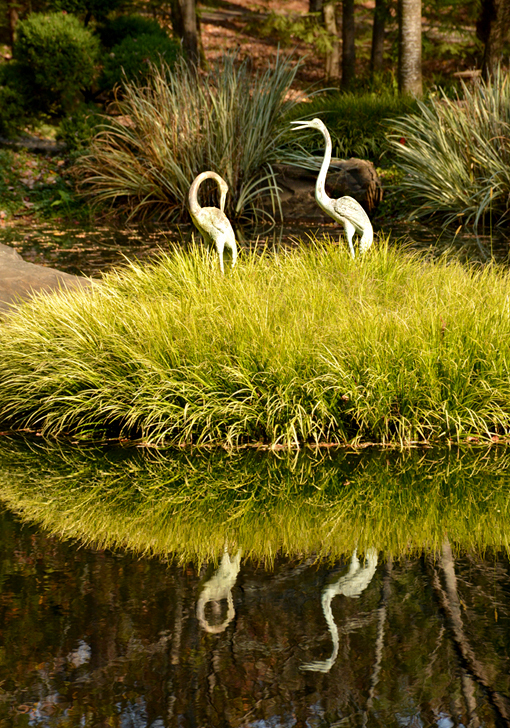 I've been to Gibbs Gardens a number of times, and every visit reveals new photo ops, or "traditional" photo ops featuring different colors and lighting. This is one of those places that you can go to again and again, year after year and always see something new! For me, the Japanese Maple Tree Festival is about more than color. 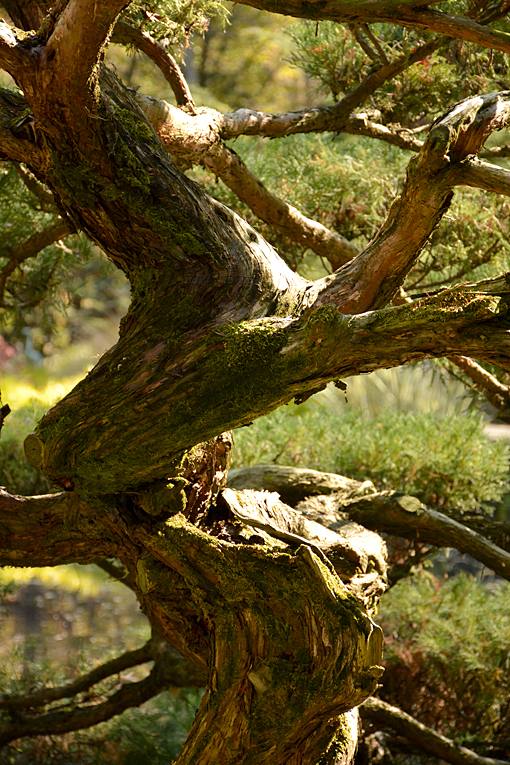 It's about photography, it's about relaxing, it's about discovering fascinating shapes and shadows (bonsai photo above), it's about having fun, and perhaps most importantly, it's about serenity. 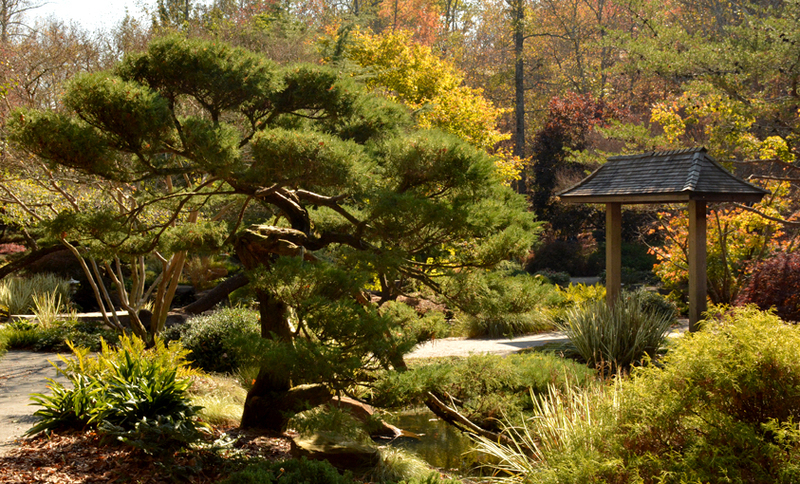 When you visit Gibbs Gardens, know that there's 220 acres to explore! 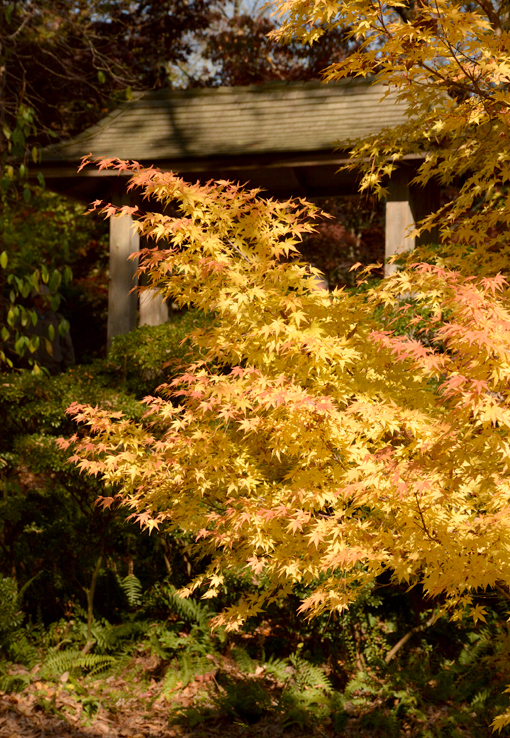 Of course you don't have to do all of it on a single visit, but if you do go this time of year, I recommend visiting the Japanese Garden first, then the rest of the Garden (or the parts that interest you), and then return to the Japanese Garden for another walk-through. 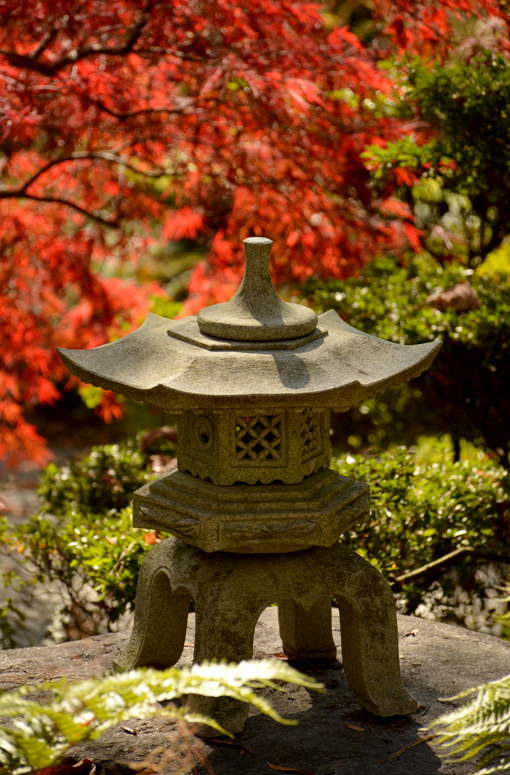 By visiting the Japanese Garden twice in the same day, you're going to see sights you'd not seen the first time and see familiar sights in a whole other light...literally! 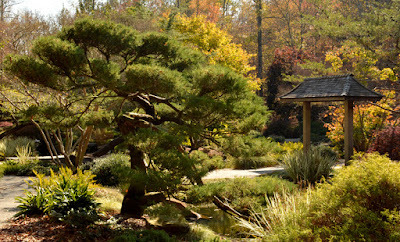 My friend Katie and I did indeed visit the Japanese Garden twice on our visit last week, but we finished our visit with a "We're-not-done-yet!" attitude and walked and talked our way to the Wild Flower Meadow. Their peak has of course since passed, but it was beautiful all the same. 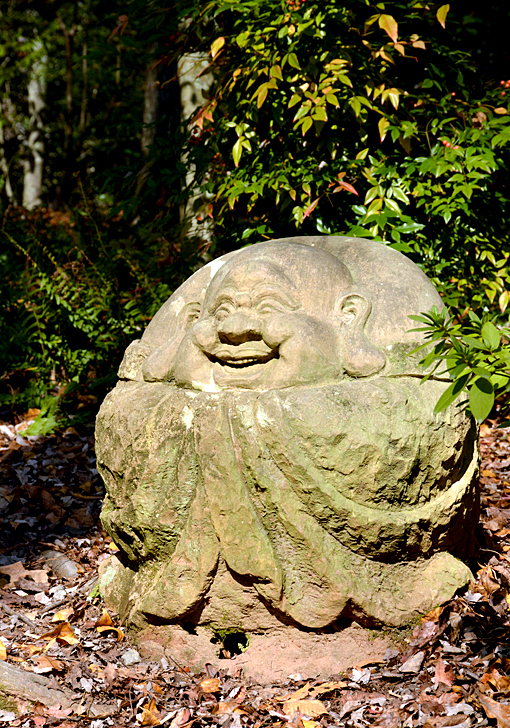 There's a wonderful array of sculptures (many of Buddha on the upper side of the Garden), statuary, lanterns, structures and benches throughout the Japanese Garden. And there's a crooked bridge to cross—evidently it confuses evil spirits, because the can't travel in a straight line. I don't know how often he does it, but Jim Gibbs himself was again in the Welcome Center greeting and talking with guests. We saw him on our way out for the day. He's more than happy to share information about the Garden and its happenings and he made it a point to thank me for renewing my membership. His passion for the Garden really shines through. 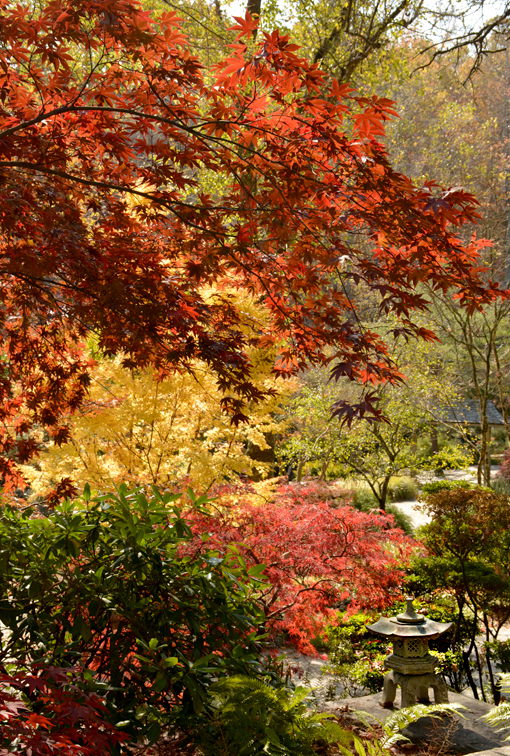 There are flower and plant festivals at Gibbs Gardens throughout the year! I highly recommend the Japanese Maple Tree Festival and the Daffodil Festival, and I can hardly wait to see for myself the Azalea ColorFest and Hydrangea ColorFest! They also host concerts, book signings and lectures, among many other things. I'm certain their programming will also continue to grow, as fruitfully as the Garden itself has. Be sure to stop by the beautifully appointed gift shop on your way out. There's a lot to see, including gardening and decorative items, jewelry and (my favorite) books and stationery items. I hope to see you at Gibbs Gardens at one (or many) of their Festivals!